Language Perspective is a language services provider based in Copenhagen with more than 10 years of experience. Our services go beyond translation, as we provide everything necessary to overcome the language barrier without difficulty, ensuring that our clients project the best possible image. Whatever your needs may be, you can trust our team knowing that you will obtain the highest quality results. Do not hesitate to come to us with your project, whatever the nature and language combination; we will take care of it so you can focus on your own work. Over 10 million words processed and a portfolio of satisfied private, public, corporate and institutional clients speak for themselves. Language Perspective is formed by experienced and reliable professionals with advanced university degrees in translation and interpreting, as well as in some of the fields most in demand among our clients. Our approach is flexible and based on problem solving. We are always available to meet your needs on the basis of a relationship of trust and a commitment to successfully achieving the goals of your team: your success is our success. Each project is monitored by a dedicated project manager who understands the specific needs and expectations of each client, and matches them with the most suitable professionals. This results in the creation of fluent professional relationships where Language Perspective gets to know the client in depth over different projects and becomes just like another member of their team, laying the foundation of solid, long-term partnerships. In our globalized world, the geographical limits of business activity have become blurred and they are no longer confined to specific areas, yet the linguistic barrier can still remain a difficult obstacle to overcome. Language Perspective offers a wide range of services in order to help our clients bridge this gap. When you request a translation from Language Perspective, your text will be thoroughly analyzed in order to determine the level of specialization, target audience, documentation needs, and work volume involved, so as to assign the most suitable team and plan a work schedule. Over the years we have specialized in different topics such as international cooperation, development, law, marketing, finance, corporate communications, marine services, architecture, and pharmacy, to name a few. Our solid network of professional translators and proofreaders cover a wide array of language combinations involving English, Spanish, French, Portuguese, Arabic, Russian, German, and Danish, amongst others. Should you need to produce official documents, or your translation needs arise in the midst of a legal procedure, we can provide you with certified and sworn translations. Meetings or workshops with international partners may require the presence of interpreters. Depending on the format of the event and the number of participants, the needs and techniques vary greatly: consecutive, simultaneous or whispering interpretation may be more convenient. We can also help with liaison interpreting if the event is more informal, like a visit to a fair or a plant. Should the venue not have the necessary facilities for simultaneous interpretation, we can provide you with ISO certified interpretation systems; anything from a few wireless headsets to a full display including interpreter booths. If your text has already been drafted but you are uncertain about the quality of the style or the grammar (from a syntactic or lexical perspective), get in touch with us and we will make sure language stops being a hindrance and becomes your ally when conveying important messages. Will the name of your latest product work in a specific country? Can I use the same text for several countries that speak the same language? What would be the linguistic implications of moving your activity beyond your borders? We are here to help! Do you have a video or an audio file and you need to have a transcript of its contents? 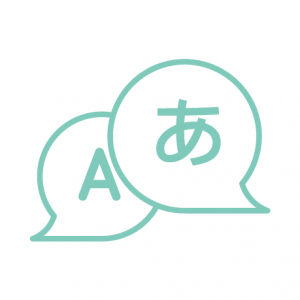 We can help you regardless of the language, and we can also translate it afterwards. In the case of a video, we can insert subtitles in one or several languages. Image is crucial. Even the most researched report (or the best translation) can suffer for the lack of a proper layout. Let our desktop publishers help you; you will find their work especially valuable when dealing with different alphabets or right-to-left writings. If your texts are going to be part of a website, not only can we help you localize the content, we can also help you adapt the structure of the page to fit the target language. In the era of social media, online presence is paramount to ensure the success of a project, whether your goal is to reach a specific target or to disseminate information to the widest possible audience. Language Perspective can help you translate your posts in different languages or provide full multilingual support for your comprehensive community-management strategies. Copyright © 2017 Language Perspective. All rights reserved.